Getting Your Songs in Film, Television, Advertising, and New Media has never been easier. This Product comes with an Audio Podcast and an eBook on how to get your songs licensed DIY (Doing it Yourself). Two (2) for the price of (1). And some principles on follow ups and relationships. 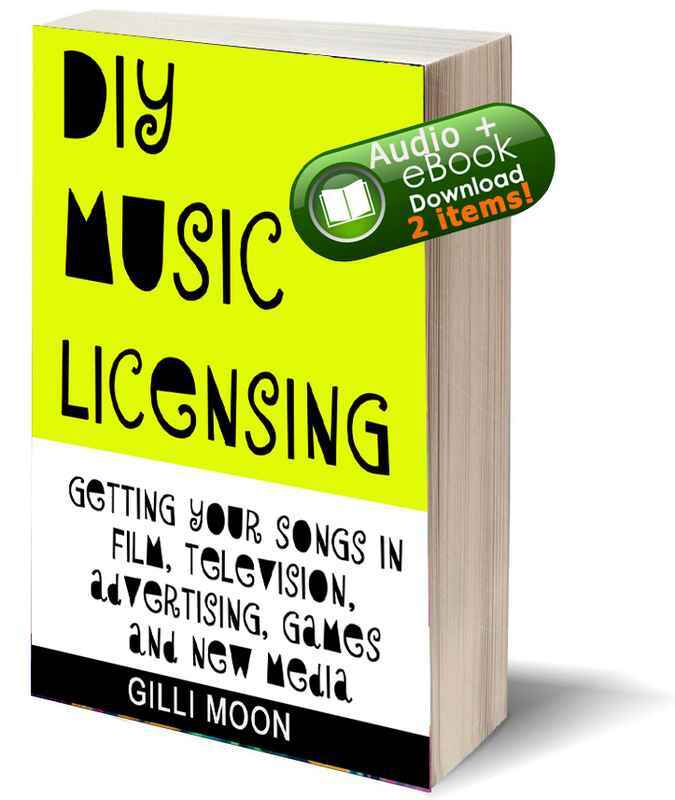 Through the DIY Music Licensing Audio podcast, you will listen to a group workshop I conducted to a songwriter audience, on my DIY Licensing Tips and Tools. This audio is 1 hour long! 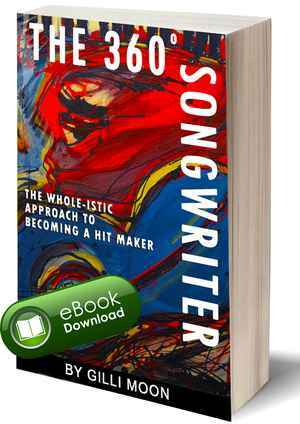 BONUS: Not only do you receive the above Audio Podcast AND accompanying eBook, but for a limited time you also get Gilli Moon's book, The 360 Degree Songwriter - The Whole-istic Approach To Becoming a Hit Maker.